The opportunity to build a business with Avon is waiting for you! People start an Avon business for a myriad of reasons! So whether you are just wanting some extra income, or you want to BE YOUR OWN BOSS, Avon has what you are looking for. When you make the decision to become an Avon Representative you start a journey where you can start a business for yourself but never by yourself. With traditional face-to-face sales, online customers, and the Leadership opportunity, Avon gives you plenty of ways to build a substantial income working from your home on your timeframe, and the chance to do those things you dream about. 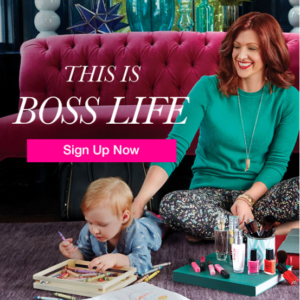 Avon gives you plenty of incentives to build your business like a Boss. The KICKSTART incentive gives you a boost to achieving your goals and making money. You can earn over $1,000.00 when you hit all the KickStart goals. A great way to help your favorite charity is with an Avon Fundraiser. You can also make money, and build your customer base while contributing. Sales Leadership is an avenue of income that can help you by providing unlimited earnings potential. As a sales Leader you can experience the kind of life you have always dreamed about. In addition to increased earnings, your mentorship of a team will bring you great lifelong friends and help build your self-confidence. See more about building a team here. Visit my website at www.successfulcareerathome.com for more answers or feel free to contact me.